An instance of A-908-2 in the "private" form. Active Protocols: An exclusion zone has been established in a 10 kilometer radius around A-908. This exclusion zone is referred to as OL-Site 908. In the event that a civilian comes across the exclusion zone, they are to be administered amnestics immediately and transported to their place of residence. In the unlikely event a civilian breaches OL-Site-908, they are to be shot on sight. All on-site personnel are to wear a modified Initiative hazardous materials suit with cold-negating padding inside. MST Baker-4 "Siberian Tigers" has been assigned to patrol OL-Site 908. MST Baker-4 are to be armed with incendiary weaponry to interrupt the injury negating regeneration abilities of A-908-2 instances. Most instances of A-908-2 are known to use firearms, thus extreme caution must be utilized. In case an engagement breaks out between a large group of A-908-2 and MST Baker-4, OL-Site 908's armory is stocked with ample equipment. If any personnel come into contact with A-908 in any way without a hazardous materials suit, or if their hazardous material suit is damaged, they are to be considered an instance of A-908-2 and shot on sight. A liquefied instance of A-908 is to be kept at an on-site laboratory for study. Manned exploration of A-908-1 by MST Baker-4 is only permitted when absolutely necessary. Description: A-908 is a autotroph bacterium-like pathogen that resembles ice to the naked eye. A-908 is observed to liquefy at 1 degree Celsius, where it is considered dormant. A-908 only infects in its solid state. A-908 spreads rapidly in areas below -3 degrees Celsius, where A-908 will rapidly change its environment to further spread itself. Any area transformed by A-908 is to be designated A-908-1. A-908 can infect via contact to skin, and inhalation in areas considered A-908-1. Any human infected by A-908 is to be considered an instance of A-908-2. it has been observed that A-908 can only infect humans. There is an estimated number of 1,500 A-908-2 instances. It is theorized that A-908 was originally created as a bio-weapon, judging by its infectious traits and the location of the only instance of A-908. The only known instance of A-908-1 is the ████████ Research Station at the epicenter of OL-Site 908 in the northern are of the Krasnoyarsk Krai region in Siberia, Russia. A-908-1 instances are considered temperature hazards due to their average recorded temperatures of -40 degrees Celsius. A-908-1 is observed to generate 1 meter of A-908 every 30 days. This generation rate is drastically increased when a temperature of 1 degree Celsius or higher is detected within A-908-1, with the exception of human body temperature. This generation appears to originate from the epicenter of A-908-1, referred to as "The Core" by A-908-2 instances. A-908-2 instances are identical to humans albeit with paler skin and opaque black corneas. Following initial infection, the subject will seek cooler temperatures. The subject will feel more agitated, and will transform into A-908-2 over the course of 15 minutes. A-908-2 will regenerate any wounds by remaining in close proximity to A-908. This regeneration is gradually sped up near the "Core" of A-908-1. All instances of A-908-2 retain human intelligence, appearing to communicate in their native languages, as well as being able to use firearms. 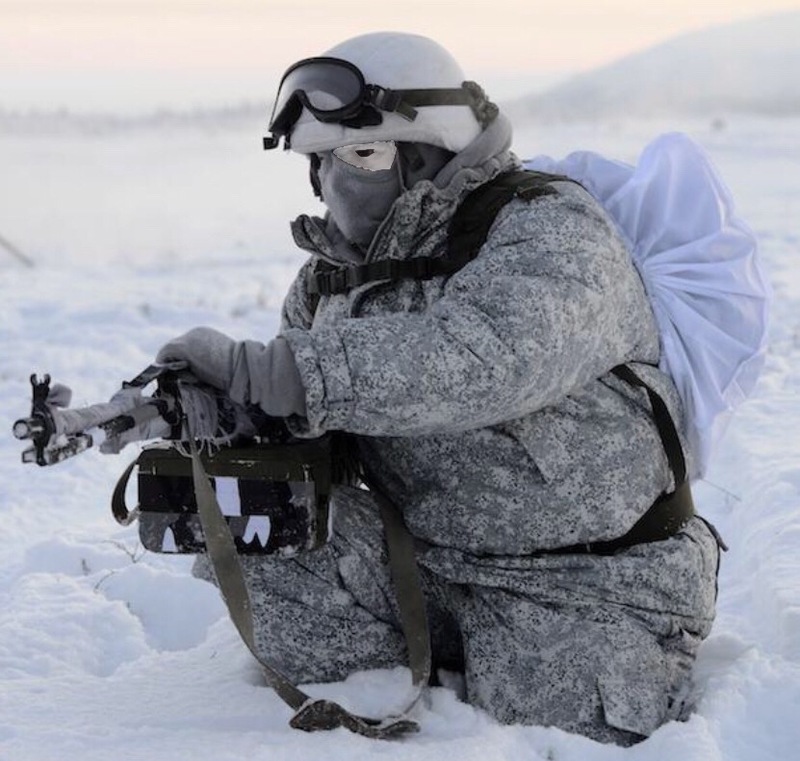 4 forms of A-908-2 have been observed, and have been dubbed sergeants, corporals, privates, and scientists, according to their roles at A-908-1 pre-infection. Through this, it is theorized that A-908 changes its infection pattern based on physical prowess of the host. The scientist form appears to be extremely malnourished, with A-908 "spikes" appearing around their bodies. Upon being within half a meter of an uninfected human, the instance will punch their chest, causing the A-908 shards to exit the body at a speed of 50 kilometers per hour, killing the host in the process. Bodies of uninfected individuals can re-animate as this form. The private form appears to have absolutely no changes over the original human, besides being infected by A-908. Private forms can not infect humans with A-908 directly. Instead, private forms utilize firearms to attack uninfected humans. Private forms can infect if holding a A-908 shard from either a scientist or sergeant form. Corporal forms appear to be the exact same as private forms, with the exception of having a single shard of A-908 in their skin. This shard is retractable, and can be used as a weapon by the instance. Corporal forms also appear to regenerate at a faster rate than private forms. Corporal forms also carry firearms, much like private forms, but attack with their A-908 shard far more frequently. Discovery: A-908 was discovered on 21/1/2003, but it is known that the first A-908 infection happened on 7/1/2003. After two weeks of radio science, the Russian government sent a reconnaissance team to investigate. The reconnaissance team set up remote cameras and went inside of A-908-1. the reconnaissance team was lost. later that day, the reconnaissance team was recorded leaving A-908-1 as instances of A-908-2. The Russian government contacted the Initiative, and OL-Site 908 was set up. Incident: A combat engagement broke out between a group of 20 instances of A-908-2 and MST Baker-4. The group included a sergeant form. MST Baker-4 took defensive positions near the armory, while the instances charged. MST Baker-4 fired upon the instances, concentrating on the sergeant. The sergeant fired a A-908 shard, but missed. A private form was observed picking it up. Another private shot one MST operator dead, but was unable to take him inside A-908-1. 18 of the privates retreated to regenerate, leaving only the sergeant and shard-carrying private. MST Baker-4 concentrated all fire on the sergeant, and were successful in neutralizing him. One of the shots also hit the shard, melting it. The remaining private raised his arms to fake a surrender, not realizing the shard was gone. MST Baker-4 detained the private, who is now referred to as A-908-D. Using A-908-D as a test subject was approved on 7/11/2003. Researcher Andrei Nikonov arrived at OL-Site 908. He went to A-908-D's cell, observing the captured private form closely. Researcher Nikonov asked A-908-D if it wanted to be interviewed. It initially replied no, but after 30 minutes, responded with a yes. Foreword: The following is the Interview between Researcher Nikonov and A-908-D recorded at A-908-D's containment cell at OL-Site 908. Since the conversation originally happened in Russian, it has been translated into English. Nikonov: “So, A-908-D as I have been told is your designation, How did they even capture you anyway?" A-908-D: "Ah. Clever bastards took out my blade. Now I'm locked up." A-908-D: "Not only to spread. When one of us is badly injured, they'll die to help us regenerate. We work together for our common goal." Nikonov: "Are you aware that A-908, or the ice as you call it, is most likely a biological weapon?" A-908-D: "No. Weapons kill. The Ice enhances. The officer warns us about the heat, so we try to spread the ice to cool everyone down." A-908-D: "You don't understand. Heat causes war. We fight to spread to ice for peace. to unify all." A-908-D: "No. It is not a weapon. Weapons cause death, they don't enhance." From there, A-908-D returned to silence in its cell. Nikonov was promoted to Head Researcher on A-908, and now permanently resides at OL-Site-908. Procedure: A-908-D was wounded with a small laser to test regeneration time. A-908-D was sedated using glyphs shortly beforehand. Results: A-908-D was observed waking up and noticing the wound. A-908-D placed its hand over the wound, and kept it there. A-908-D did not respond to any activity for 24 hours. A thermal camera was soon set up to observe, showing that A-908-d was rapidly decreasing its body temperature. After 24 hours, A-908-D was observed lifting its hand up to reveal that the wound had been fully healed. Procedure: A-908-D was sedated via glyphs. Its arm was severed with a laser, and a sedated scientist form was placed in A-908-D's cell. The cell's temperature was drastically reduced to speed up regeneration time. Results: Upon awakening, A-908-D noticed that its left arm was missing. It woke up the scientist form was punching it. The scientist form appeared agitated at first, until A-908-D pointed to its missing arm. The scientist form released its spikes, killing itself in the process. A-908-D picked up the shards of A-908-D and stuck them into its arm stump, going dormant soon after. The shards were observed to be gradually sticking together, and eventually, forming A-908-D's new arm. Exactly 24 hours later, A-908-D's arm had fully regenerated. The scientist form's corpse was retrieved by a drone, to prevent A-908-D attacking MST Baker-4 personnel. A drone, equipped with a 5.45x39mm machine gun leaded with 50 incendiary rounds, was flown into A-908-1. Live video feed was turned on upon reaching the entrance of A-908-1. the drone was flown inside, revealing strands of A-908 covering the walls. The drone continued on. Several A-908-2 instances patrolled the halls, ignoring the drone. The drone went deeper into the facility. A-908 replaced the walls. More A-908-2 were seen. The drone continued, eventually finding the epicenter of the A-908 infestation. A man was frozen inside a block of A-908, showing no signs of infection. The drone fired a single round at the block, causing the A-908-2 to become hostile. A Sergeant knocked the drone into an airlock, where the door was shut. The drone flew into the cycling button, causing the airlock to open. A single man, oddly uninfected was inside, carrying a rifle. The man fired at the drone, and video feed went dark. it later reappeared, The man's hand covering the camera. he uncovered the camera, showing a service elevator that showed no signs of infection, yet inoperable. "This is officer Roman ████████ of the Russian Army! I locked myself in the other half of the facility! please help, I am running out of food! I would have escaped, but the elevator controls are in the infected part!" the video feed went dark once again. 3 members of MST Baker-4 volunteered to turn on the power, well knowing they were not going to return. All 3 were equipped with flamethrowers. The three operators walked into A-908-1, readying their weapons. After reading the sign near the stairs, the leader pointed out that the electric control room was very close to the A-908 epicenter. The three spotted the instances of A-908-2, who oddly ignored them, just like the drone. The three approached the electric control room. The control panel was frozen inside of A-908. The leader held the flamethrower's pilot light to it, melting the block of A-908. After flipping the power to the Elevators on, the instances of A-908-2 began to charged the three MST operators. The Leader's fuel tank was punctured by a sergeant, setting him ablaze. The leader ran towards the epicenter, dying mere meters away from it. The other two began to run for the exit. Suddenly, one of the MST was completely encased in A-908, and was pronounced dead. The final MST operator successfully made it out of A-908-1, only to be shot dead by a private. The video feed went completely dark, and the MST operator's corpse was dragged back into A-908-1. 30 minutes later, He was observed emerging as a scientist form, and was finally taken out by an MST sniper. Officer Roman ████████ made it out of the uninfected portion of A-908-1 appearing completely unharmed. After being scanned for contaminants, He was found completely safe, with no traces of A-908 appearing. He was placed into temporary quarantine for 6 months. on 9/3/2007, ████████ was given amnestics and sent back to his home town of ██████, Russia.